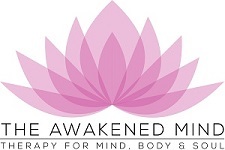 The Awakened Mind offer Mindfulness Based Stress Reduction Therapy (MBSR) for males and females of all ages in Glasgow, East Kilbride, Hamilton, Motherwell and Lanarkshire. So that things are as relaxing and stress free for you as possible, our Mindfulness Based Stress Reduction Therapy (MBSR) is carried out in the comfort of your own home and surroundings on a one to one basis. What Is Mindfulness Based Stress Reduction Therapy (MBSR)? Mindfulness Based Stress Reduction Therapy (MBSR) was created and developed by Professor Jon Kabat-Zinn in the 1970's. Professor Kabat-Zinn is the founder of the world famous Mindfulness Stress Reduction Clinic and The Centre for Mindfulness in Medicine, Health Care, and Society at the University of Massachusetts Medical School. Research has shown that Mindfulness Based Stress Reduction Therapy (MBSR) can reduce stress levels by up to 40% and anxiety levels by up to 58%. As well as helping individuals manage and cope with stress, MBSR also helps individuals manage and cope with anxiety, pain and illness. Mindfulness Based Stress Reduction Therapy (MBSR) is offered by hospitals, medical centres and healthcare professionals around the world. MBSR is also used by the US Military to improve the 'operational effectiveness' of combatants. Additionally, global companies including Google and General Mills, whose brands include Haagen-Dazs, Green Giant and Yoplait, have adopted Mindfulness Based Stress Reduction Therapy (MBSR) and have made it available to their employees. While brief bursts of pressure can help us rise up and face a challenge, long term or prolonged periods of stress can have a severe impact on our physical and mental health and wellbeing. The aim of Mindfulness Based Stress Reduction Therapy (MBSR) is therefore to help individuals manage and cope with extended periods of stress. In today's fast moving and pressurised world we are under greater stress than ever before. Symptoms of stress include anger, anxiety, sleep deprivation, loss of appetite, breathlessness, panic attacks and chest pains. As well as having a major impact on our physical and mental health and wellbeing, stress can also severely damage our relationships, social lives and working lives. How Does Mindfulness Based Stress Reduction Therapy (MBSR) Work? Mindfulness Based Stress Reduction Therapy (MBSR) uses mindfulness techniques including mindfulness meditation, body scanning and simple yoga postures to help individuals become more mindful, enabling them to effectively manage and cope with stress. MBSR is based on the principles of non-judging, non-striving, acceptance, letting go, patience, trust, acceptance and non-centring. Mindfulness Based Stress Reduction Therapy (MBSR) also provides individuals with greater clarity regarding what is happening in their lives at the present moment. This skill enables an individual to take charge of their life by noticing what is occurring in their mind and body as it happens, enabling them to respond to life rather than react to it. To arrange an appointment, or for professional, friendly and confidential advice about Mindfulness Based Stress Reduction Therapy (MBSR), contact Kirsty at The Awakened Mind.